St. Patrick's Day means different things to different people, and at different ages. In elementary school, it was a reason to pinch your crush. At my age, it's a reason to go have more drinks during the day than at night. For others, it means something much more significant. 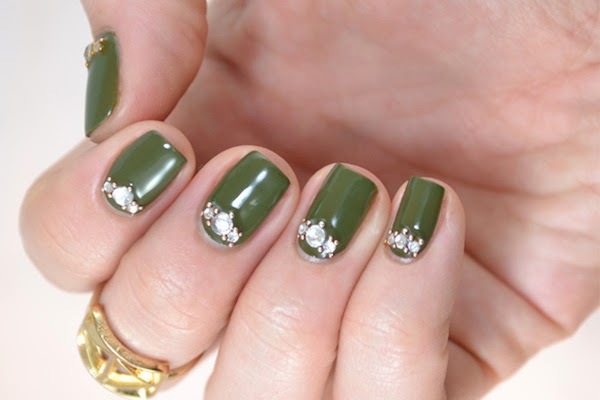 Either way, wearing green seems to be the persistent rule, and for us, that means green nails! I took it up a level and created this sophisticated green look for Divine Caroline. Check out the full tutorial and materials right now at Divine Caroline! Gorgeous and very classy color and style!